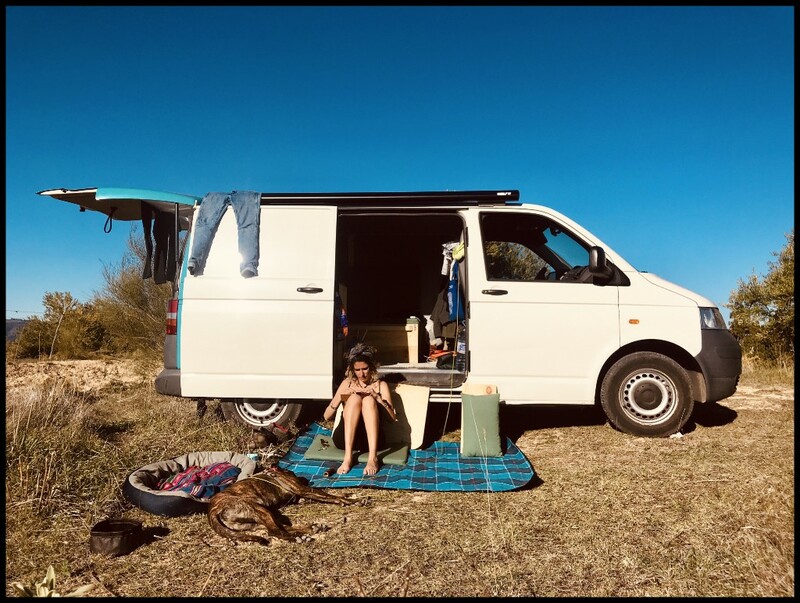 Some stops in Caceres and Sevilla to visit friends and family, a two-day downpour on the beach near Tarifa spent in the van, a few sunny days at a campground taking advantage of running water and a laundry machine, then into the interior. Some of the small pueblos blancos of Andalusia stood out from the flora of the hills; a mixture of cork, olive, palm, and acorn. 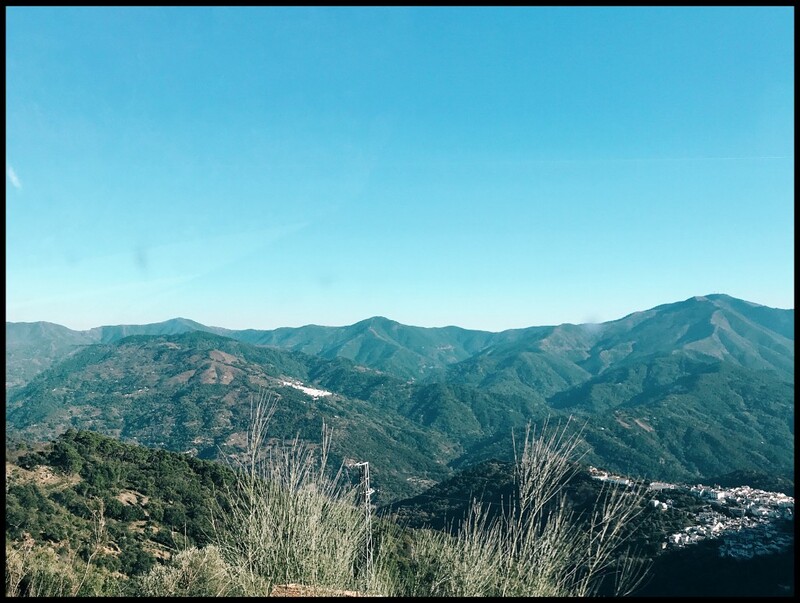 Winding up the road into the mountains from Tarifa, our first destination was Ronda. I saw a photo once of its eighteenth-century bridge that connects the two parts of town. I didn’t realize the whole town was built right on an immense ridge of a gorge. 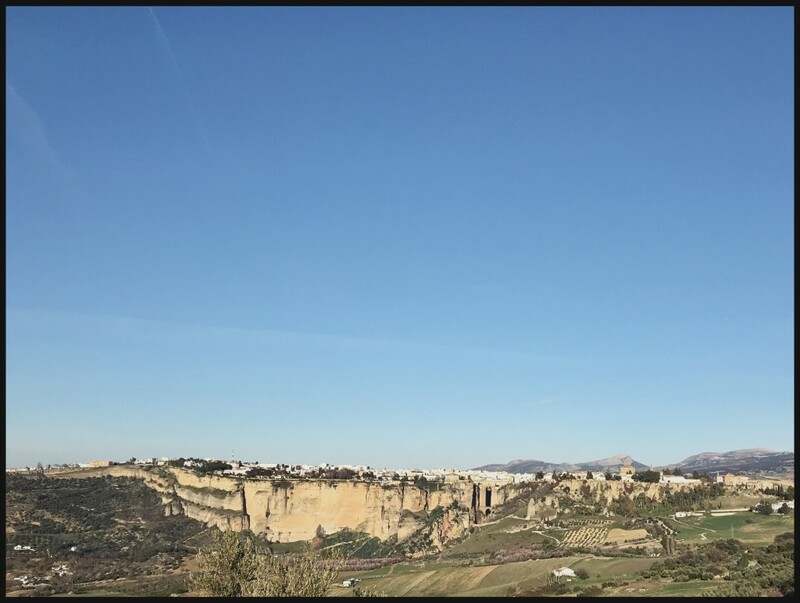 We found a camping spot next to a fountain across the small valley, giving us a perfect view of the old town of Ronda, the cliff, and the bridge. After a late lunch, we settled in for the afternoon. No al aislamiento de sur de Ronda! Ni un minuto separados, siempre juntos! No to the isolation of the south of Ronda. Not one minute separated, always together! We met a Spanish-Scottish couple while our dogs played near the Iglesia del Espíritu Santo. The woman told us the ayuntamiento (town council) wants to block car traffic for three hours a day, for conservation reasons. It would still be possible to walk or bike over it during that time. Dear southern rondeños, you are being a bit melodramatic. 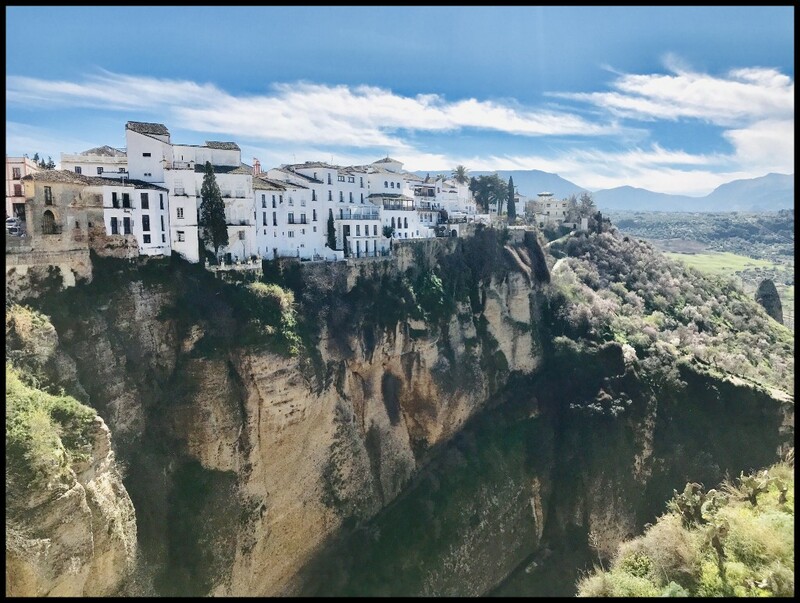 Ronda has beautiful architecture and the town is easily enjoyed on foot. We didn’t do any museums or touristy things. Both days we stopped at churrerías, one French, one Spanish, for hot chocolate, churros, and coffee. 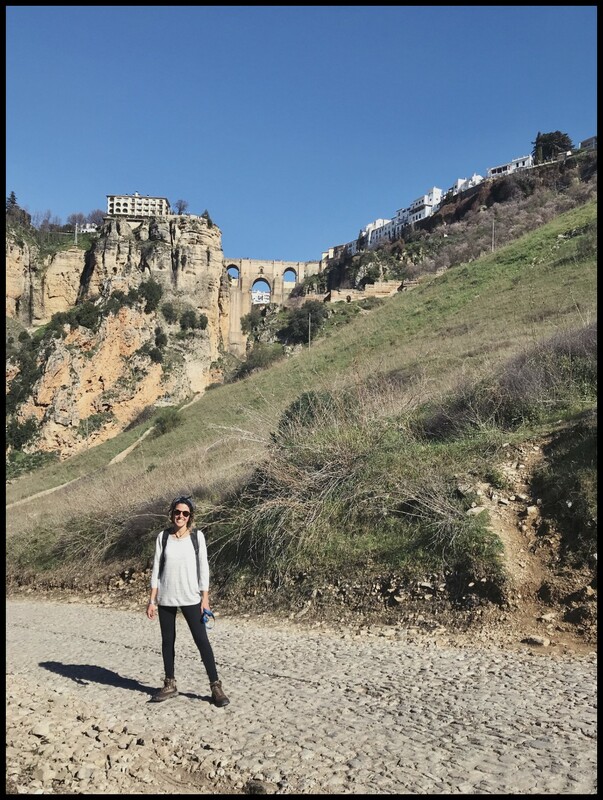 We passed los Baños Arabes and walked back in the early afternoon to enjoy the sun, the sound of the birds, and the views of Ronda from our makeshift campsite. And we continued on, heading anywhere we please, in search of nice parking spots in nature, cheap thrills, and delicious van-cooked meals.